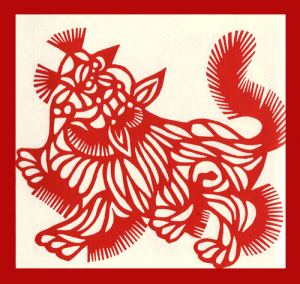 Library Home » Hours & Locations » Asian Library » Events » Celebrate the Lunar New Year with the Asian Library! The Year of the Dog is approaching! Celebrate the Lunar New Year with the Asian Library & the Department of Asian Studies on Friday February 9 at the Asian Centre. Enjoy wonderful performances, and participate in interesting cultural activities. It’s free and open to the public. Library programs will be on from 12:30 pm till 2:30 pm. There are Yut Nori game and riddles. Visitors to the Asian Library may also receive a pocket of luck! Programs organized by the Department of Asian Studies will begin at 10:00 am. There are student and guest performances in the morning, and public seminar & cultural activities (calligraphy, seal engraving, hand sewing, paper cutting, bean picking, ring toss, and diabolo game) in the afternoon. They also offer lunch at $5.00. Click HERE for details. Lantern riddle is a folk custom of the Lantern Festival, which takes place on the 15th day of the Lunar New Year. The answer is guessed from a word, poem or phrase. At the same time, test yourself on how well you know about the Lunar New Year and the Asian Library. You will receive a gift if you get the answers correct! Yut Nori is a traditional board game played in Korea, especially during the Lunar New Year. It includes a board (malpan), four wooden sticks (yut) and small tokens (yunmal). Yut sticks are cast to determine how far a token can advance, and the score is determined by counting the sticks that are over, and those that are up. Join us for this fun game in Room 616 at Asian Library! All visitors to the library will receive a pocket of luck (while quantities last)!